A re-imagining of the classic Discovery. The clever use of space helps deliver class-leading capability for drivers and passengers alike. 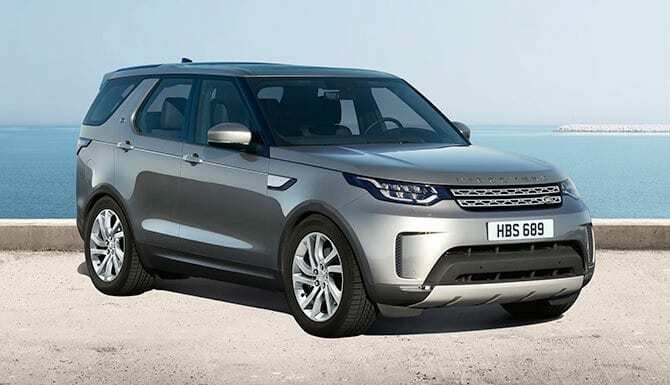 You’ll find clever storage solutions in places you simply wouldn’t expect, from the upper and lower glovebox on SE, HSE and HSE Luxury, to central armrest stowage with an optional chiller compartment and the prominent Land Rover Discovery boot space. Also with premium leather surfaces, that are finished with beautifully tailor twin-needle stitching and offset by authentic metal and wood details. 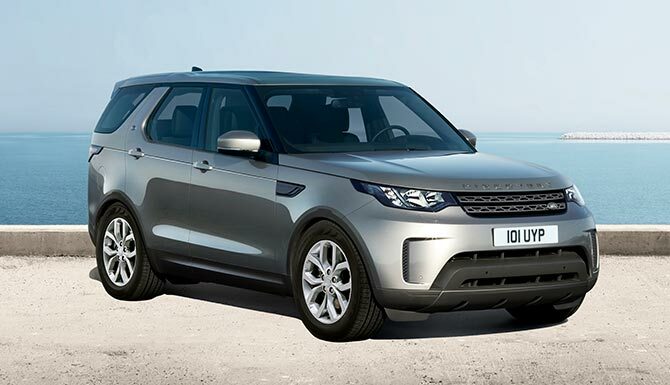 With seven full size seats across three rows, flexible seating and optional heating, cooling and massage functionality – however you configure the clever use of space in a Discovery, you’ll always have room to relax. 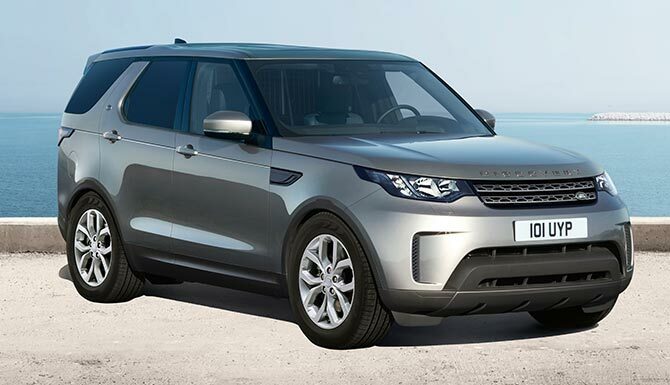 The Discovery is beautifully proportioned with a strong and athletic stance. The powerful front end, with short front overhangs, fast windscreen angles, rising belt line and advanced rear lights and headlights, result in a streamlined and dynamic character that communicates efficiency and modernity. 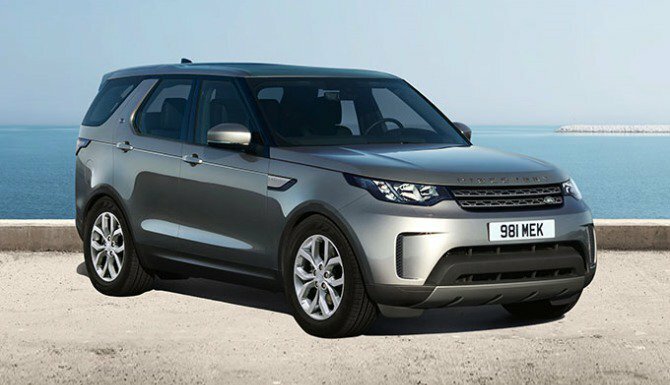 The distinctive roof and feature lines riding toward the rear of the vehicle, give the Discovery an assertive, recognizable stance that is further enhanced by the front and rear design graphics. Sophisticated and urban, the Discovery epitomizes the most compelling modern British design. A bespoke digital system, InControl offers different benefits depending on the package you choose. They include: controlling audio, navigation and phone connectivity with an advanced Touch-screen; enabling you to adjust or check certain functions remotely, such as climate, security and fuel levels; and tracking your vehicle if stolen. From the choice of Meridian audio systems to innovations such as InControl Touch Pro and the optional Rear Seat Entertainment System, there’s a world at your fingertips. 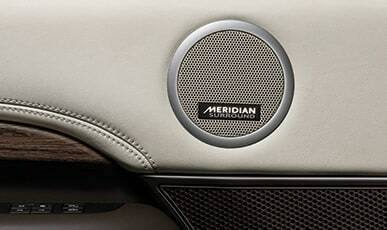 Land Rover has partnered with Meridian™, a world leader in high-performance audio technologies and digital sound processing, to develop 10 and 14 speaker advanced audio systems for Discovery. Both feature Dynamic Volume Control technology to ensure that any unwanted noise detected in the cabin is balanced out. The Discovery features the Command Driving Position which gives an elevated position helping deliver an unrivalled view for a more confident and engaged driver, adding to the feeling of safety and security. Electronic Traction Control (ETC) optimizes traction and Electronic Brake-force Distribution which automatically varies the braking force to each axle in order to minimize stopping distance. This vehicle has capability in its heart. By maintaining a contact speed and applying braking separately to each wheel, Hill Descent Control (HDC) takes all the strain out of negotiating those difficult slopes. Optional Advanced Tow Assist allows you to control the direction of your trailer and vehicle when reversing, by using the rotary Terrain Response 2 Controller. When a tow bar is fitted, the system will then control the vehicle’s steering to achieve the desired trailer trajectory. 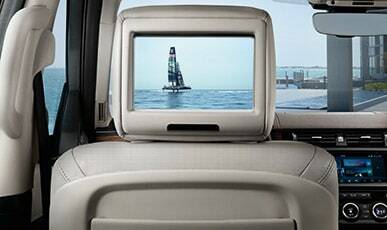 The Discovery S is equipped to take you anywhere and everywhere in comfort and style. Versatility and capability have never been more dynamically realised. The Discovery SE’s impressive credentials ensure you, your family and friends always travel in even greater style. From its distinctive design to its levels of comfort and finish, HSE Luxury is exemplary in every single detail (model shown with optional 20” 10 split-spoke ‘Style 1011’ alloy wheels). 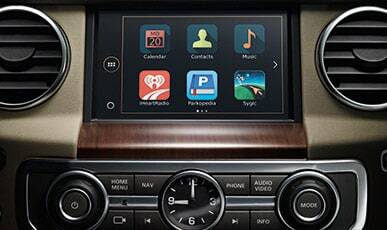 Now you’ve explored the Discovery’s features and models, find the one for you.